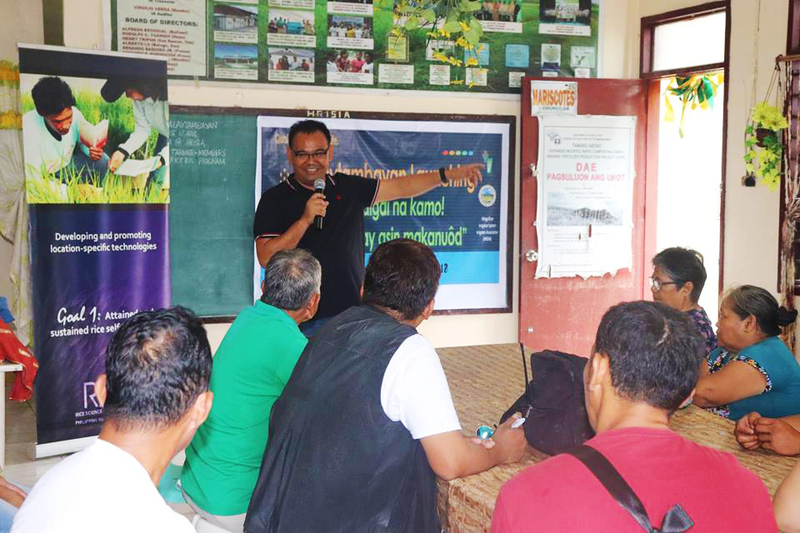 Farmers in a first-class municipality in Albay are learning more about rice production through a recently launched public information kiosk. Called PalayTambayan, the facility is housed at the Hibiga Irrigators Association (HRISIA) office in Polangui, and was set up by Philippine Rice Research (PhilRice) in Batang Ligao, Albay. Melanie de Peralta, PhilRice Bicol Research and Development Coordinator, said that farmers, who have limited time in visiting the PhilRice station can access latest updates on rice farming in their community. “More than 500 rice farmers can benefit from this kiosk, which can help farmers further increase their harvest and reduce their production cost,” de Peralta said. The information shop contains publications and videos on pests and diseases, rice machines, integrated crop management practices, and other rice and rice-based technologies. Meanwhile, Melanio B. Bañares Jr., HRISIA president, said that farmers can borrow the materials and read them in their homes for them to better learn and understand the recommended farm technologies. PalayTambayan is under the strategic and transformative communication initiatives of the Rice Business Innovation System (RiceBIS) program. RiceBIS is one of the flagship programs of PhilRice, which aims to change the mindset of farmers from being merely production intensive to seeing farming as a business. Polangui, an “Outstanding Local Government Unit” Hall of Famer, is also a three-time national rice achiever winner from 2012 to 2015. PhilRice Bicol plans to establish another Palaytambayan in the additional RiceBIS clusters. Written by Allan Biwang Jr.